Platform 21 are based in an old cathedral in Amsterdam, which they call their public design lab. They organise lectures, exhibitions and events to engage industry experts and the public to contribute through real time or digital environments. Their venture and platform allows people to collaborate to explore bold concepts, thinking and practice. 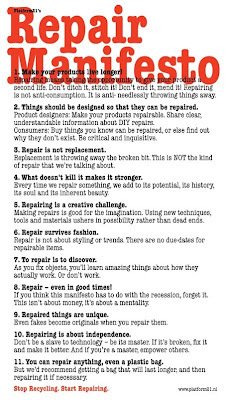 One of their latest projects entitled "Repair Manifesto" encourages people to share creative concepts and methods to repair existing clothing/ products. This collaborative approach to upcycling encourages people to share ways to re-invent or re-use existing objects.